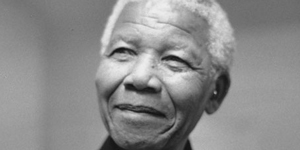 Honoring the late Nelson Mandela on what would have been his 100th birthday. He died in 2013 at age 95 after a life that saw him imprisoned for 26 years for his role in the struggle against apartheid in South Africa and subsequently elected president. The celebration includes a short program plus cake, entertainment, family friendly games and mingling with the 2018 UC Davis Mandela Washington Fellows — who are attending a summer institute here under the auspices of the U.S. government’s Young African Leaders Initiative. Please register online by July 11. Free parking.